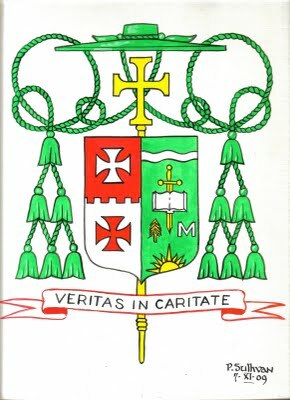 Sr. Nicolette Etienne has posted on her blog Bishop Etienne’s coat of arms, along with a description. She has also posted many pictures here, here, here, and here on her blog. She has also posted the homily given by Bishop Lynch. This entry was posted in Blogosphere, Catholic News. Bookmark the permalink. ← CSS menu over flash object–resolved! That is a really nice design he has….